What is TORCHGRIP® and what does it do for tablet users? 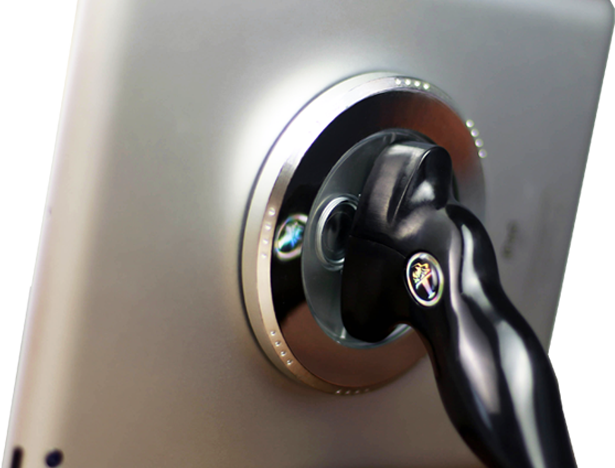 TORCHGRIP® is a single accessory that provides four primary solutions for portable technology. Although there are many more solutions that TORCHGRIP® can provide, these are four important solutions for portable technology today. Picture the possibility of holding a tablet more easily than holding a cell phone. Would that be a stretch of the imagination? In fact, we have always looked at a tablet as something of a physical challenge to hold, and we tend to limit its use to a “while-sitting-only” position. A tablet was not designed to ergonomically connect with its user. Just look around in the real world, and you’ll see people struggling to hold onto their tablet. However, most individuals need and desire to have more freedom of movement. The user remedies the situation by precariously tucking the tablet under their arm to carry more stuff, or when extending a hand to greet someone else. There is a catch 22 in the consumer electronics industry for small businesses like ours. No one will entrust you to make a better tablet until you’ve become a tablet maker. The industry has become polluted with accessories that do the same thing, and offer nothing to improve the tablet as it’s currently used. So, we’ve come up with this idea of Mobility for Mobile Devices as an antidote. 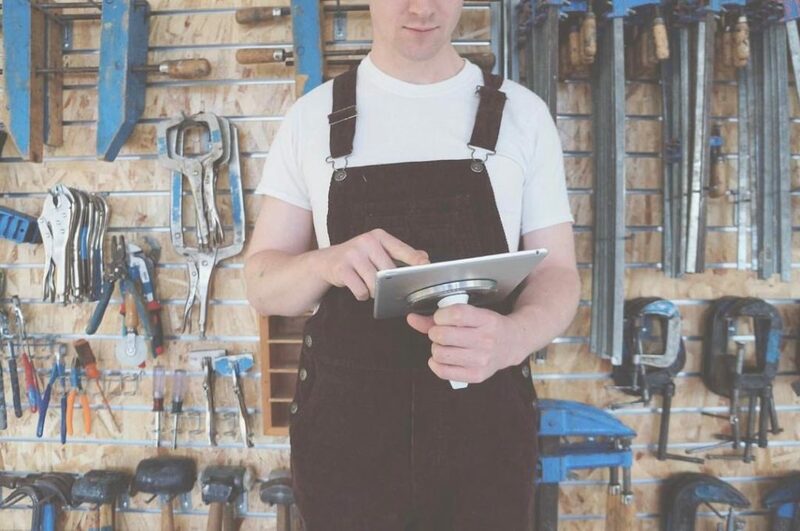 What if in-use mobility with a tablet could be a part of what increases your productivity and quality of life? A tablet accessory made specifically to broaden these uses of not just one brand/model tablet, but for most tablets and for users everywhere. TORCHGRIP®‘s design is not only ergonomic but made to be ambidextrous, for left and right handed users alike and users with large or small hands. Instead of being cautiously aware of the tablet being held, a new level of agility is available to the user. 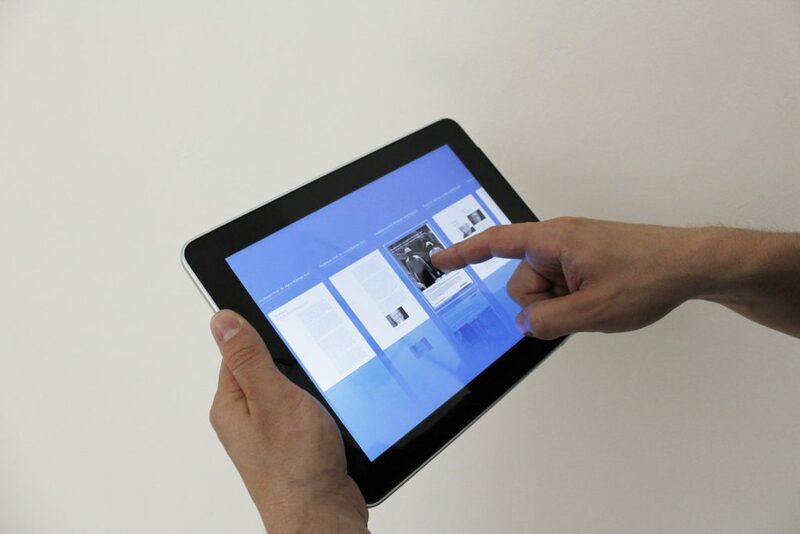 You can now spin or rotate the tablet in one hand to share and collaborate with someone else. So, you don’t have to choose whether you are sitting or standing, working or relaxing, left handed or right handed, using a case on your tablet or not. Instead, you can have it all. Now that we’ve fused these concepts and considerations together into a new accessory design, we’re delivering a new hybrid accessory that looks different because it performs different. With TORCHGRIP® we’ve solved these mobility problems in a completely unproblematic way. For example, if you want to hold a tablet comfortably for extended periods of time, the device now feels lightweight, balanced and secure in a naturally closed hand. If you set it down, it’s standing perfectly with the same level of stability. Even though we at TecDriven are a small Made in America company with a relativity small budget, we’ve begun to open minds and make the world realize what a tablet can be and what it can do.